Adjustable saddle with chains. Optional. PF350. Maximum capacity: 350 kg. Design of cradle helps holding oil containers. Block of foam to protect vehicles parts. Patent. Handle with screws folding tray. For use in pits and underneath elevated vehicles. The lifting and lowering of the load using the foot pedals allow the hands to be free for other jobs. Easily manoeuvrable thanks to the four swivel castors. The large base size provides high stability under load. 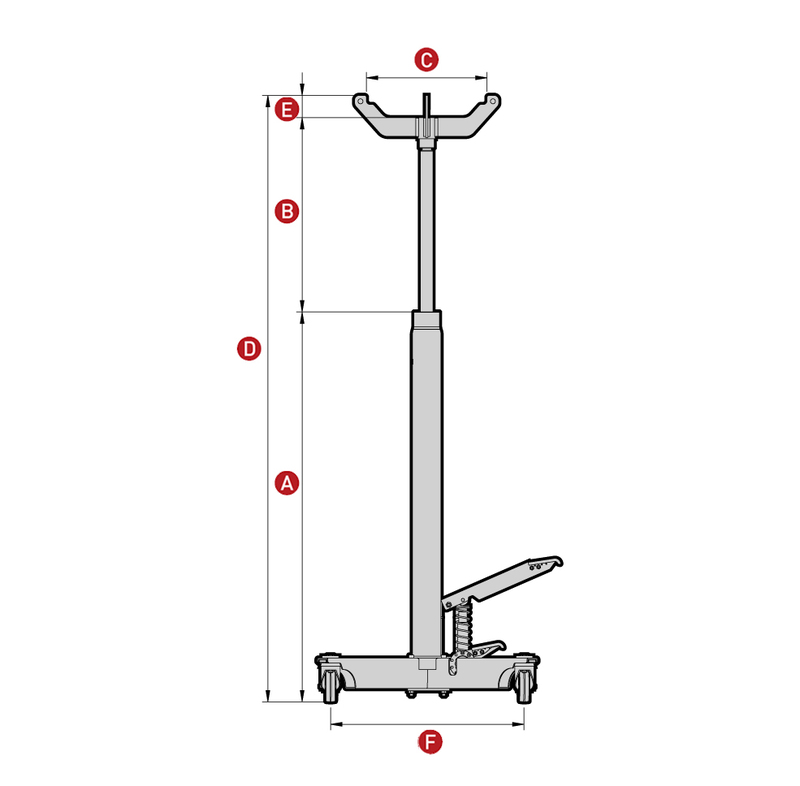 Unique high lift transmission jack with all functions operated by foot. Maximum stability, confort and functionality. New release with dead man operation provides maximum lowering precision. Rubber protections to prevent from any possible damage to the vehicles or to the vehicles or to the cranes legs. They improve visibility to prevent accidental bumping.